Did you know that of the innumerable road humps (or speed breakers) in the city, only 282 are authorised by the Bruhat Bengaluru Mahanagar Palike (BBMP)? All the others, according to the BBMP, are unauthorised and do not have any mention in their records. This fact was revealed when BBMP responded to a RTI application regarding the same recently. Most of us are troubled by the road humps we come across every day. It’s a common feeling that some of them are not required at all, while some of them appear to be hastily put up with no concern for ergonomics, causing damage to motorists’ spines and vehicles’ suspensions. A lot of these humps do not even have white lines marked on them so that they stand out from a distance. 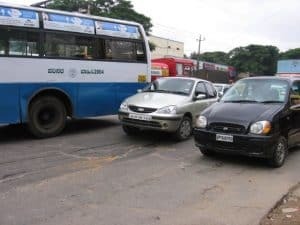 On 12th June last year, Anil Kumar, RTI activist and a member of Kria Katte, an NGO, filed an application to find out if all the road humps in the city were authorised. Negotiating the humps day after day, he had developed problems in his spinal cord, like many others. “Riding my two wheeler (on the humps) had made my life difficult; the growing problem prompted me to file a RTI application to know the reality behind the numerous humps” he says. Kumar got the response on 11th January this year. He was not surprised to find that a lot of humps were unauthorised, and were not found on BBMP records at all. In theory, for any hump to come up on a road the Traffic Police has to notify the Traffic Engineering Cell (TEC) of the BBMP. The TEC consists of three executive engineers, four assistant executive engineers and six assistant engineers. 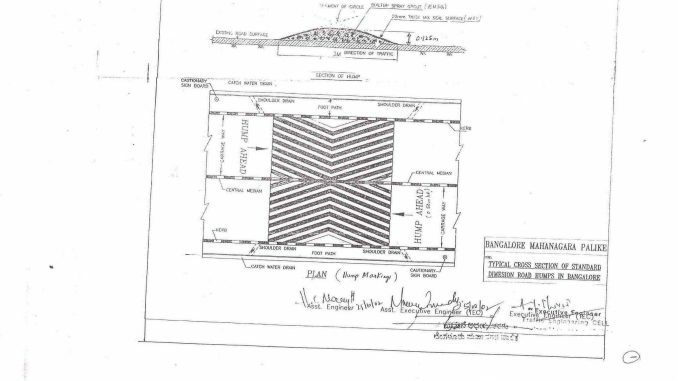 This cell is responsible for constructing all the road humps, pedestrian ways, barricades, road dividers etc. Road humps should be painted in a ‘V’ shape and illuminated by solar cat’s eyes (solar cells embedded on pavements/road that reflect sun rays and glow in the dark) to make them visible. The humps should not be more than five metres away from the junction or the intersection. Two signboards, one at 20 to 30 metres and another 10 metres away from the hump should be placed for the commuters to know about the road humps ahead. Intrusion of tree branches should be prevented. Road humps should be put up only on the main roads and not on the cross roads. In ‘rumble strips’, (humps that have around 5 to 10 strips together), the width of each strip is to be one foot and the gap between each strip, one foot. Not surprisingly, these rules of the IRC are not available with the BBMP, and thus, not many of the road humps are built according to these standards. No markings on this hump on the BTM Ring Road that connects Silk Board and Jayadeva Circle. This is where Suryaprakash Chavan met his end. Pic: Supriya Khandekar. Coincidentally, around a month after Kumar got the reply to his application he got to know about a fatal accident on the BTM Ring Road (between Silk Board and Jayadeva Circle) that occurred because of an improper hump. Suryaprakash Chavan, 22, was on his way back home after dropping his friend in BTM Layout at 12 midnight. One of his friends Swagat Senapati was also with him on another two wheeler. Because the road hump was unmarked Chavan missed it; his motorbike jumped the breaker and he hit the divider. Chavan died on the spot. There was no traffic police at the time of accident, and the Inspector at the Madiwala Police Station filed the FIR. The Inspector who signed the FIR (without writing his name under the signature) has mentioned in the FIR that this accident happened because of driver’s negligence, even though eye witness Swagat Senapati’s account (Reg no: 2/2008/24 Sec 174 CrPC) , signed on the same date as of the accident, is with the same police station. After this accident, G M Chavan, (Suryaprakash Chavan’s father) contacted Kumar for help and fresh applications were filed to get details about the BTM Ring Road humps in particular, and a second appeal was also filed with Karnataka Information Commission. As convenor of Kria Katte Anil Kumar has been following up with the BBMP to get the unscientific humps modified. The case was first heard between 2nd and 7th June this year. The next hearing is on 24th of this month and another hearing with the Police is scheduled for 14th November. “The continuous poking has changed the mindset of the BBMP and the Police. The BBMP has already called tenders for modifying 400 humps in Bangalore, divided into 10 packages,” says Kumar. The Indian Road Congress (IRC) is the premier technical body of Highway Engineers in the country, and came into existence in December 1934. It is a national forum for sharing of knowledge and pooling of experience on subjects dealing with the construction & maintenance of roads and bridges, including technology, equipment, research, planning, finance, taxation, organisation and all connected policy issues. 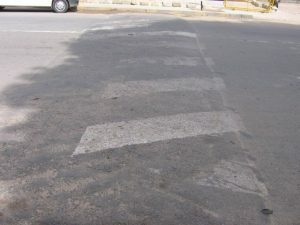 I can email the location details if you can provide an email address..
Abhishek, (leaving aside other arguments on illegality of constructing a hump without permission), how would you ensure the speed breaker adheres to the norms (10 cm in height, 3 metres wide, with appropriate signage etc) if you get it done yourself? This article clearly shows the tragic impact of badly constructed humps. I understand your frustration but is the solution that individuals build their own speed breakers? I am very much please seeing you and other guys in action. I really appreciate your efforts. However, I believe that not having a speed breaker is not a good solution instead having a properly marked/painted speed breaker is. And moreover, here we discussed only about the speed breakers on big roads where people may speed up in odd hours. What about an urgent requirement of speed breakers in residential colonies where office cabs intrude day and night and Honk endlessly on every intersection and turn ??? My house is a corner plot on 2nd C cross, 8th Block Kormangala. Saturdat and Sunday if I put on the TV for the whole day then it’s fine… outside noise doesn’t distrub me much. But if I want to work from home and need some quite environment then god saves me. Riders/drivers of all ages drives like they are in some kind of F1 race. And as soon as they reach my house, instead of slowing down they give a loooong, endless Honk… teeeeeeeeeeeeeeeEEEEEEEEEEEEEEEEEeeeeeeeeeeeeeeeeeee… Sometimes I feel like going out, stand there and wait for such people to realize them thay are doing something wrong. But it won’t help, how everyone else will come to know that I have educated people about not honking. Everytime a new guy comes there, he will honk. There is no other way to stop these guys than laying a speed breaker there. In the next cross only, bbmp is laying new road. I asked their contracter if he can ask any of his man to make a small speed breaker at near my house. I told him that I will paint white strips on it myself. He told me that he will get it done by evening. 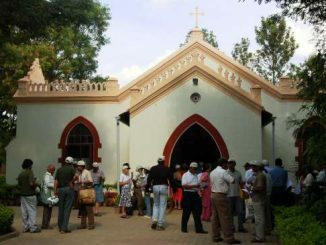 In my area, in other crosses also people had made such arrangements because it is practically impossible for BBMP to lay down speedbreakers in 10000s of small streets in Bangalore. By evening if the contractor do not get it done, I will call some labor by myself and make a speedbreaker using cement. If there are accidents on a particular road in quick succession, humps are made to avoid the accidents. But what happens in totally opposite. I have seen a couple of lady pillion riders, wearing saris, which i suppose become slippery on the leather seats, fall off the bike with slight imbalance caused by the awkward speed breakers. Not only the main roads, narrow roads in the colonies also need to be checked. With crawling traffic, these humps bring the traffic to stand still. Is it illegal for civilians to dig away these speed breakers from the roads?